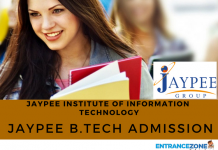 VITEEE 2019 Admit Card is an important document and should be safe till the time of admission. VIT Entrance Exam Hall Ticket for 2019 session will contain all the information regarding Application number, passport size photo, the location of the exam center, exam schedule (picked while slot booking) by the student. Admit card VITEEE 2019 will be available after the process of Slot booking and It can be downloaded from the official website. And once the candidate completes the slot booking, the E-Admit card will be available. The applicants need to print the Same page of E-admit card. Also, Reprint option is also available. Check recent updates about VITEEE 2019 here. Also, the Candidate will get an email of the e-Admit card copy on his registered email id. click on the link to download the VITEEE Admit Card. How To Download the VITEEE Admit Card for 2019? In the case of any error on the hall ticket, the applicant must notify the concerned authority at VIT University as soon as possible. Yet, Candidates must print a copy of the e-Admit card using the print options available to print an alternative copy. ONLY on an A4 size paper. Also, the applicants should check out all the details, including the clarity of the photograph on the e-Admit card. 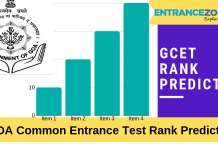 The Vellore Institute of Technology Engineering Entrance Examination VITEEE 2019 will be held from 10 – 21 April 2019. Inviting admissions into different UG engineering courses in its two campuses, i.e., Vellore and Chennai, Tamil Nadu, India. VIT University will organize VIT Engineering Entrance Exam for 2019 session. There are almost 5,000 B.Tech seats for which around two lakh students enroll and take the examination every year. Visit the official website of VIT. Now, Click “VITEEE 2019 Admit Card” link given on the page. And provide your 10 digit registration number, VIT account password, Slot booking code and DOB (it should be the same as provided in the application form at the time of registration), now click on “Login”. Finally, VITEEE 2019 Hall Pass (e-admit card) will be displayed on the monitor screen. Click on ‘Download the Admit Card’. And finally, take a printout and save it carefully for future need and also keep in mind to carry it with you while entering the examination center. 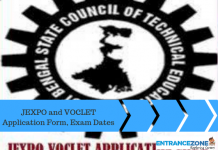 VITEEE 2019 Admit Card will be available only through online mode. No printed copies or call letter will be provided or sent via courier or post or by any other medium. Date and time of the exam. The applicants will also get the reference receipt of the admit card on the email ID provided at the time of application. And applicants have to download a copy of VITEEE Hall Ticket, which the candidates must print on an A4 size paper ONLY. And must ensure that all the details given on the hall pass, including applicant’s photograph are clearly visible. Finally, applicants need to provide their Application number (containing 10 digits) and Online Test booking Password to download the hall pass for attending the VITEEE for 2019 session. The candidates will get an alternate copy of the entrance examination pass on his/her Email ID. Whereas Email ID plays a vital part in further communication with the college. The candidate has to provide an authentic Email -ID while applying for the Exam. Please note that the admit card for the exam, will not be sent to the applicants address via post. Furthermore, Candidates should not tear the E-admit card for VIT entrance exam or edit any details. 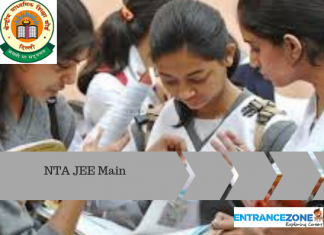 Note: VITEEE 2019 Admit card for Engineering Entrance Exam is an important document and it must be secured and provided at the time of Admission. The e-Admit card is an auto-generated document for the candidates who successfully book their slot using the VITEEE Online Test Booking System at website. The Exam Slots will be available on the basis of the information on the application form and availability of the slot, for those who have not booked. The slot booking is used when some examination is to be conducted on certain dates. And the candidates have to choose the dates among the schedule given by Authority. However, VITEEE 2019 Slot booking will open in March and examination are scheduled in April 2019. ID Proof Driving License/ Passport/ Voter ID Card for Photo verification Purpose. The e-Admit card will be generated once the applicant has booked his/her schedule via the Online Test Booking System. E-Admit card will be auto generated for only those applicants who book a slot using the Online Test Booking system before the last date. For those who have not booked, slots will be generated based on the details given on the application form and availability of the slot. The e-Admit card will indicate the e-Admit card number, student’s photograph, address of the test center, test date and time selected by the applicant. The e-Admit card will be made available for applicants in www.vit.ac.in. Applicant should give the application form number and Online Test Booking password to download the e-Admit card. The copy of the e-Admit card will also be emailed to the applicant. Applicants must provide a valid email ID on the application form. The e-Admit card will not be dispatched to applicants through post or fax. Applicants should take a copy of the e-Admit card. Please ensure that all detail on the e-Admit card including photograph is clearly visible on the printout. 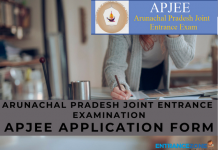 Applicants will not be allowed to appear for the test without an e-Admit card. The e-Admit card is an important document and can be used for future reference.